Although React Native advances at a great pace, feature parity beetween Android and iOS is still far from complete. This doesn't mean that the community should stay put and look, au contraire! One of the main features that might miss while porting your App from iOS to Android might be the WebView. Lucas Ferreira filled the gap with its own, API compatible, Android WebView. Is it a fair candidate for a PR? 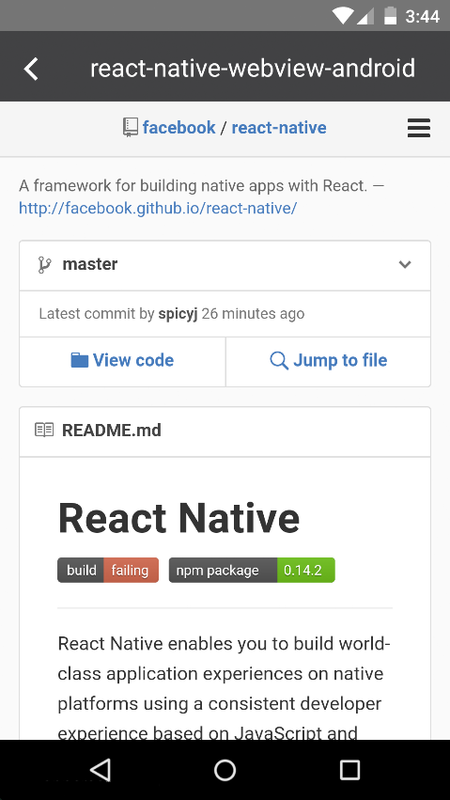 Simple React Native Android module to use Android's WebView inside your app. This module will be useful until the official RN support aren't released.